The statue to Herbert Columbine VC will be unveiled by Field Marshal Lord Guthrie on Friday August 1st 2014 on the seafront on Walton on the Naze. In attendance will be the Bishop of Chelmsford who will be dedicating the statue. There will be a military quartet from RAF Albrighton. The Walton on the Naze Sea Cadets will also be there as will Lord Petre and the High Sheriff of Essex. It is a public event and all are invited to attend. Carole’s book which tells the story of Herbert Colombine in greater detail. 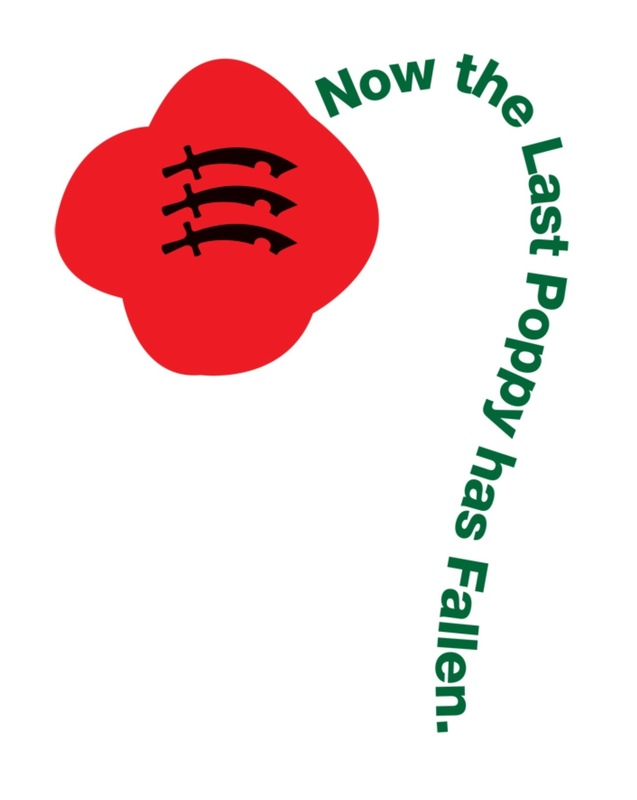 Essex has many heroes from the First World War, men and women who went the extra mile. 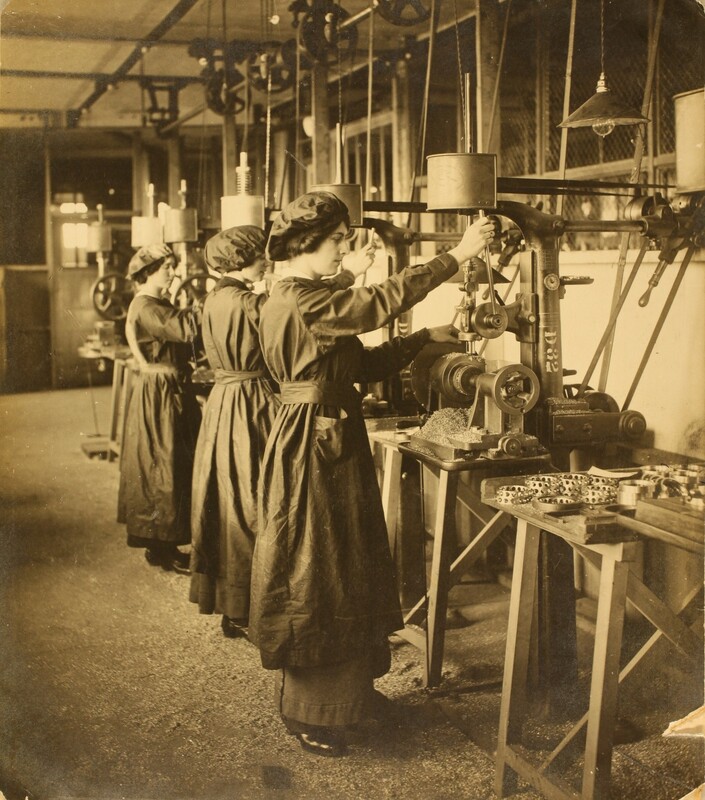 Our next blog is about Herbert Columbine and his story is told by Carole McEntee-Taylor. ‘Save Yourselves, I’ll carry on’. These were the last known words of Herbert Columbine, shouted at his two companions on the afternoon of 22nd March 1918. 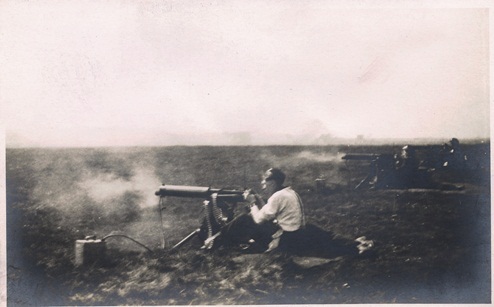 At 9am that morning, in Hervilly Woods, France, 9 Squadron Machine Gun Corps had come under intense attack from a heavy force of German infantry. 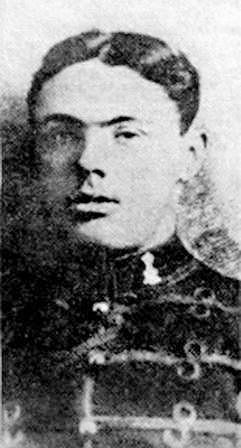 Private Columbine took command of an isolated gun, with no wire in front and began firing. As the German onslaught grew and casualties mounted, Herbert and two others eventually became separated from the rest of their Squadron. After several hours it became clear their position would soon be overrun so Herbert told them to escape while they could. Now on his own, Herbert hung on tenaciously, repelling several attacks, each one deadlier than the last. He was only defeated after the Germans bought up air support and dropped a bomb on his position. Herbert Columbine has no known grave. 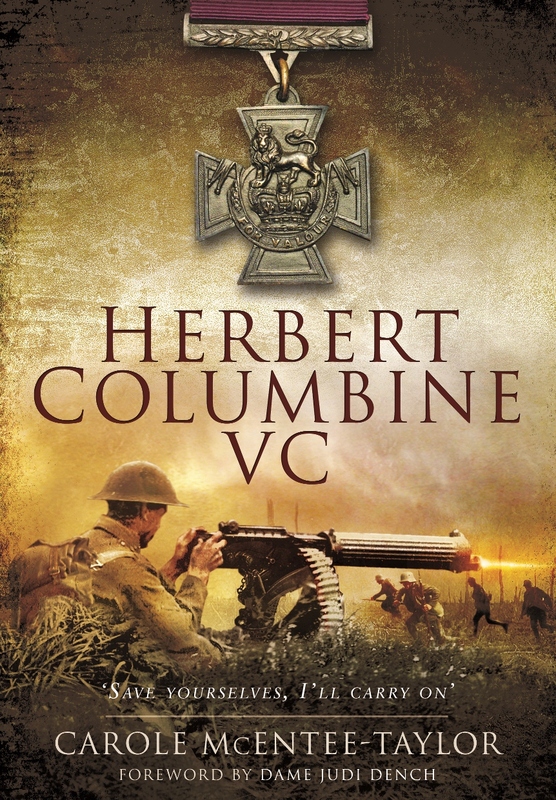 Herbert was born in November 1893 in London to Emma and Herbert Columbine. When he was 6 years old Herbert’s father, caught up in the ‘khaki fever’ that was sweeping the country, joined the 2nd Battalion (10th Foot) Lincolnshire Regiment and went off to fight in the Boer War. He never returned. On the 11th July 1900 he was killed in a battle at Silkaatsnek leaving Emma a widow and Herbert fatherless. 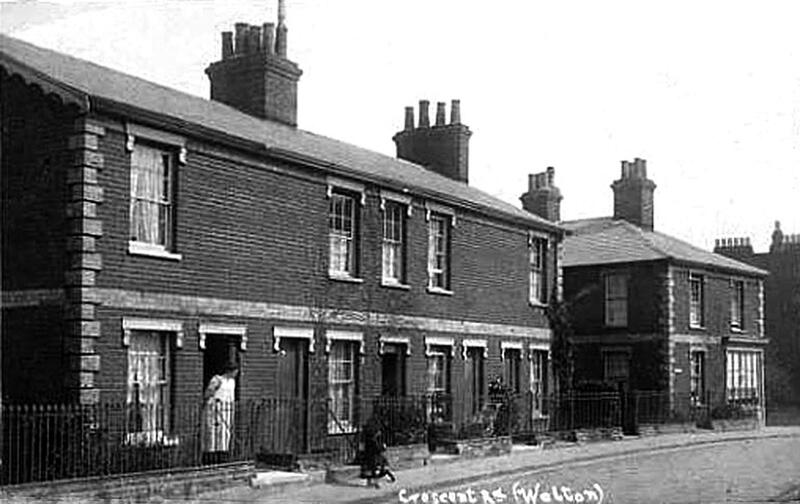 By 1911 Emma was living in Walton on the Naze and Herbert had joined the 19th Hussars. Three years later, as 3780 Pte Machine Gun Section, he was on his way to France with the BEF, subsequently facing action at Mons, the Race to the Coast and the subsequent actions at Ypres. Herbert’s Machine Gun Section was brigaded into the 9th Cavalry MG Squadron on 28 February 1916. But Bert did not leave the 19th Hussars to become a member of the Machine Gun Corps until 27 June 1916. Together with sixty-nine other men of the 19th Hussars Bert was compulsorily transferred to the MGC Cavalry and given the new army number 50720. Herbert stayed on the Western Front, taking part in various actions and also spending time in reserve. As a machine gunner he was a prime target for enemy snipers, yet somehow he survived. In March 1918 the Germans launched a massive offensive, the intention to defeat the Allies before the arrival of fresh American troops could really have any impact. The collapse of Russia had allowed the Germans to bring back all their divisions from the eastern front leaving the Allies hopelessly outnumbered. Herbert’s last stand helped to buy the retreating Allies time to regroup and reform their defence. All author royalties from the sale of this book go to the Columbine Statue Fund of which Dame Judi Dench is Patron. This is a project to raise money for a lasting memorial to Herbert Columbine in his home town of Walton on the Naze, Essex. His medals are currently on display in the Essex Regiment Museum in Chelmsford Essex. 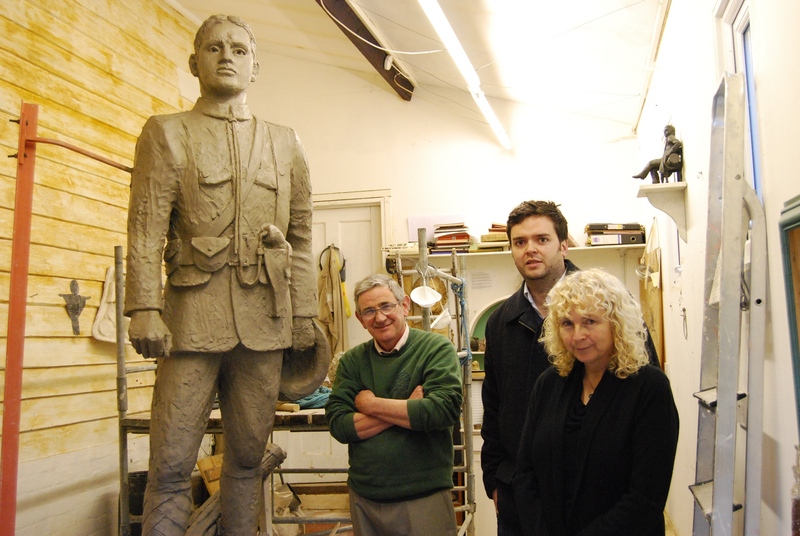 The statue in November 2013 with the sculptor John Doubleday (left) Will Columbine, Herbert’s great nephew (centre) and Carole McEntee-Taylor. This was the statue in November 2013 with the sculptor John Doubleday (left) Will Columbine, Herbert’s great nephew (centre) and me. It has now gone to the foundry but we still haven’t raised all the money. For information on how to donate please see http://www.carolemctbooks.info/herbert-columbine-vc/ There is also so Facebook page to keep up to date with the campaign.